Y's 4th Birthday In School: The Bento Mommas, Dome DIYs, and More! 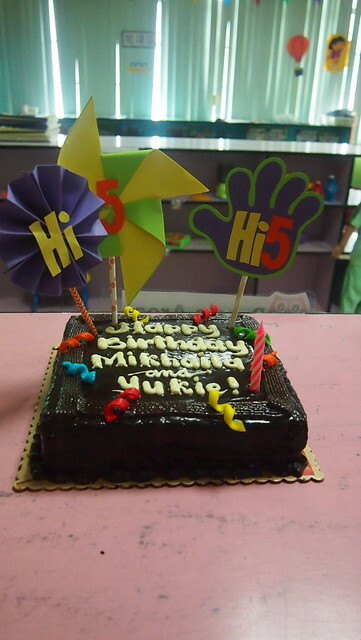 Y celebrated her 4th birthday in school this year. It was her first birthday in school! 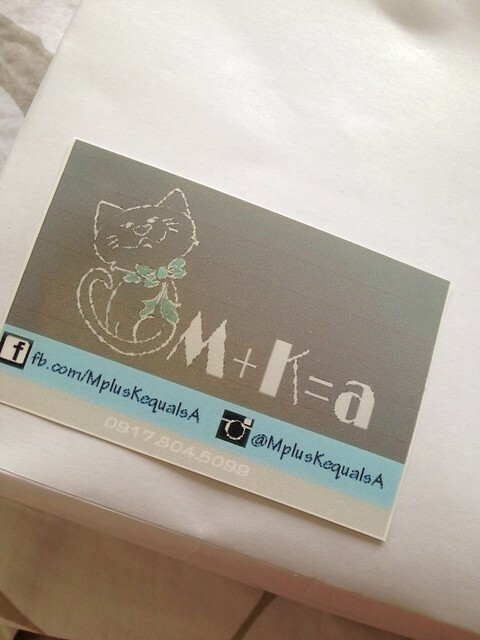 And it was extra special because she shares the same birthday with one of her best friends in school, MK. Me: "Kelan birthday ni MK?" Me: "September din si Y!" J: "6 din ni MK!" Me: "O, sabay na tayo mag celebrate dito sa school!" 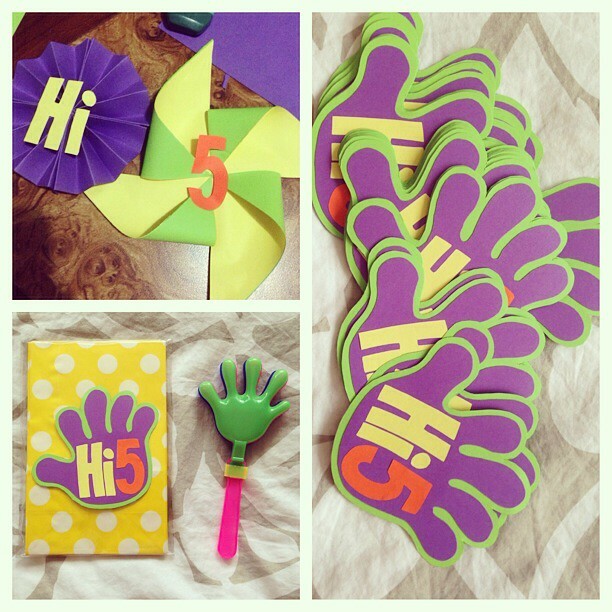 We decided to have Hi-5 as the theme so it can be both for boys and girls. 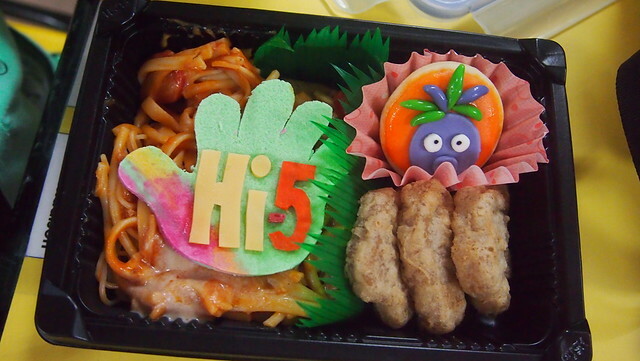 I pitched the Hi-5 bento boxes because I really wanted Kaye of The Bento Mommmas to do Y's birthday! J was ok with it so yay! 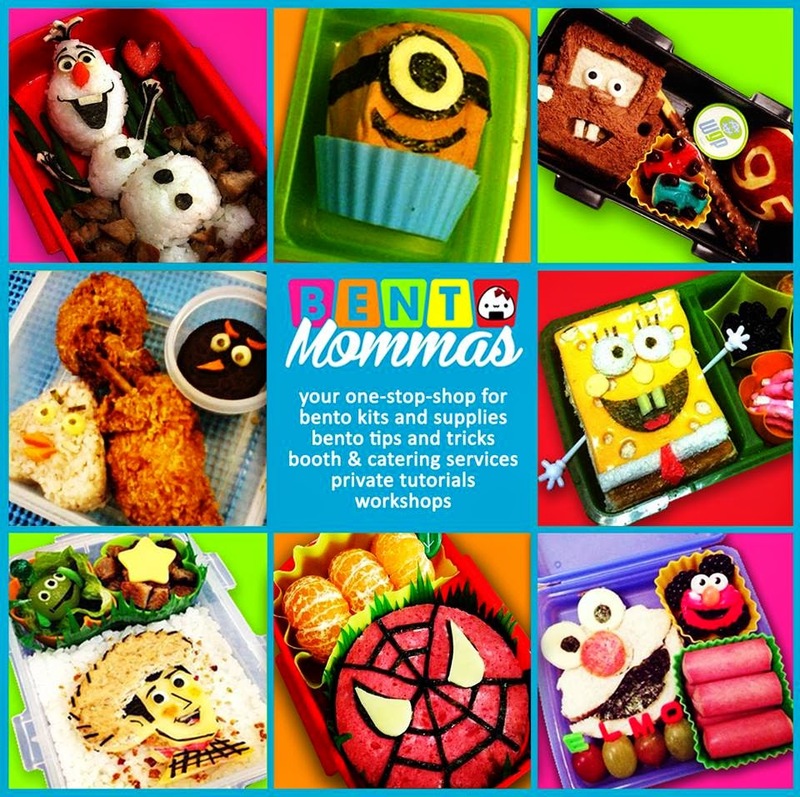 Check @thebentomommas in Instagram too! For the giveaways, I saw this PHP10 clapper in a stall in Puregold which reminds of the souvenir we got from the Hi-5 show last year. I made the Hi-5 logo by hand and took me two weeks to finish with the help of the BOS and here's our final product! 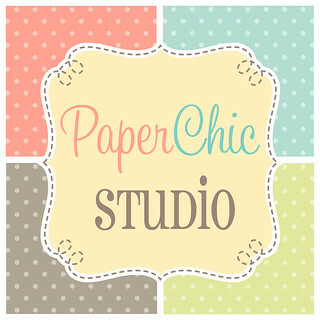 Clockwise: Made a fan and a pinwheel for cake toppers; Hi-5 logos made out of specialty paper, traced , cut, and paste; and the PHP10 clappers from Puregold and Paper Chic Studio favor bags! We celebrated their birthday in school a day before their actual birthday. We can only do their "party" during their 30-minute recess! 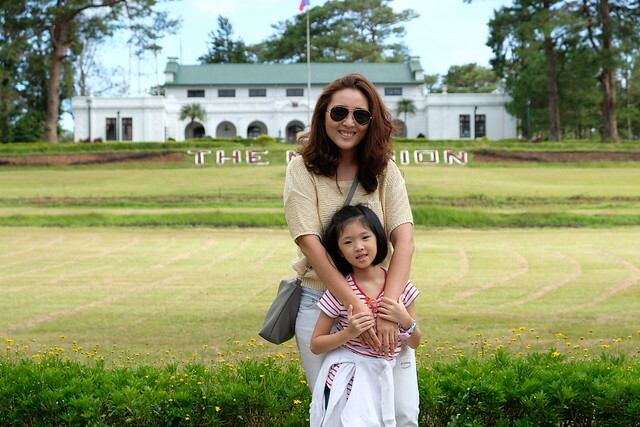 Her classmates sang her Happy Birthday, blew the cake, picture taking with her classmates then ate their bento boxes! Red Ribbon Cake with my DIY cake toppers! Spaghetti (Super yummy! Thanks for the extra, Kaye! 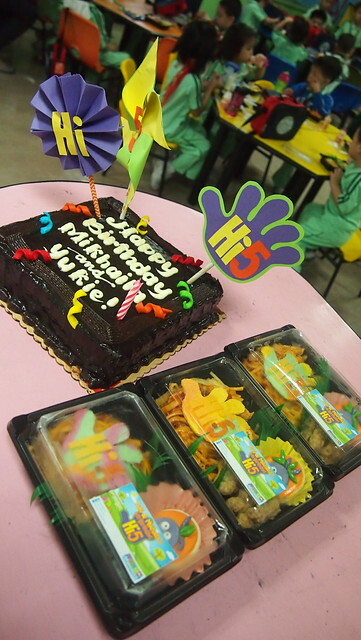 ), Hi-5 Bread Deco, Nugges and a Jupjup Sugar Cookie! 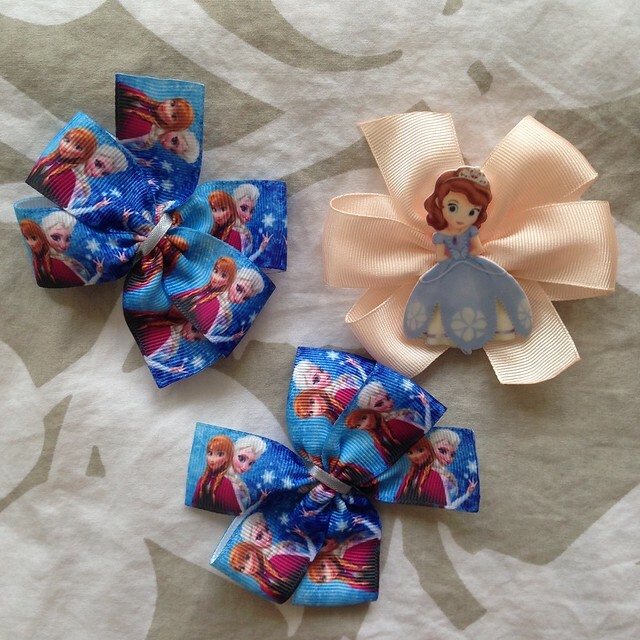 I also ordered a Hi-5 Headband for Y to wear to school that day, Princess Sophia headband as gift to MK from M + K = a! Plus Frozen clippies for Y! Clippies for my little girl!! Thank Tita Em for the Sophia clippy! The teachers gave away the clappers during dismissal time. I was so happy that everyone was happy with the giveaway! Can't believe she's 4 na! :( Happy Birthday again my loves!